Conducted by Christopher Hogwood, Academy of Ancient Music, period-instrument orchestra based in Cambridge plays Wolfgang Amadeus Mozart’s Symphony No. 4 in D major, K. 19. Mozart composed this symphony when he was only 9 years old, during his family’s Grand Tour of Europe in 1765. There are three movements in the typical fast–slow–fast configuration. 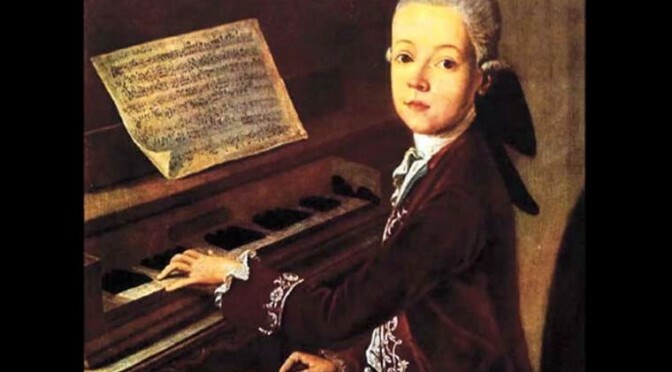 It was the standard structure in the early classical music era in which the child Mozart wrote. The Academy’s current Music Director is Richard Egarr (as of 2015).